For about 80 minutes this morning, while you were sleeping, Apple held an event in the US to announce two new iPhones – the iPhone 5S and iPhone 5C. If you’d like to see what my should-have-been-asleep self was doing at the time, then catch my live blogging of the event. As strongly rumoured the metal iPhone 5S is the top-of-the-range, while the mid-priced iPhone 5C is made from hard-coated polycarbonate material. 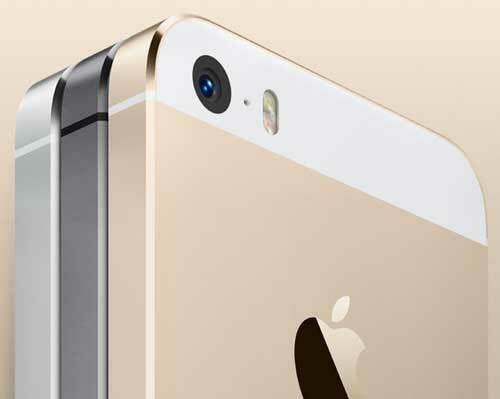 Another strong rumour was a gold-, or champagne-coloured iPhone 5S. That also proved to be true. There’ll be I expect a lot of talk around these two new iPhones being an ‘evolution rather than a revolution’, but I think as far as smartphones go there’ll be no revolution until we begin to see features such as flexible screen technology come to the party. Both phones will go on sale in Australia on September 20, the same day as US, Canada, China, France, Germany, Japan, Puerto Rico, Singapore and the UK. Meaning again that Aussies will be the first in the world to be able to buy the new iPhone. So Apple and Android fanbois, take your sides, and prepare your over-the-top verbal defence / attack strategy for your smartphone of choice. In the meantime, here’s what the iPhone 5S and iPhone 5C look like, what they have on-board, and how much they will cost to buy outright. Also, here’s the video of the Apple iPhone launch this morning. First up, what’s not new is the screen. It’s still a 4-inch retina display, with 1136-by-640-pixel resolution at 326 ppi. It’s available in three colours, space grey, silver, and gold. Inside the iPhone 5S uses Apple’s new A7 processor, that offers 46x the CPU speed, and 56x the graphics speed of the A6 processor. Also new inside is the M6 Motion CoProcessor. Details on this are short, but it’s a feature aimed squarely at use by fitness apps, an area that has been a high interest and growth area in gadgets over the past 12 months. For mobile photgraphers, there’s both hardware and software improvements in the iPhone 5S. The camera is an 8 megapixel camera, with a dual cool white / warm amber LED flash, working together in more than 1,000 combinations to help obtain the best image. The newly-designed camera has a F2.2 aperture, producing bigger pixels for better photos. You can now shoot in burst mode at 10 frames per second, shoot slow motion video at 100 frames per second, or regular video in 1080p hD at 30 frames per second. Probably the most interesting new feature is Touch ID, or fingerprint recognition, located around the phone’s round Home button. This can be used rather than a password to lock the phone, and there can be multiple fingerprints held on the phone. Additonally Touch ID can be used to sign into iTunes when purchasing apps, music and the like from the iTunes Store. It’s worth noting that Apple made a point of saying that your fingerprints would not be uploaded to Apple servers – nice to know in a time when US spy agencies have been outed accessing personal information we’d rather they didn’t. 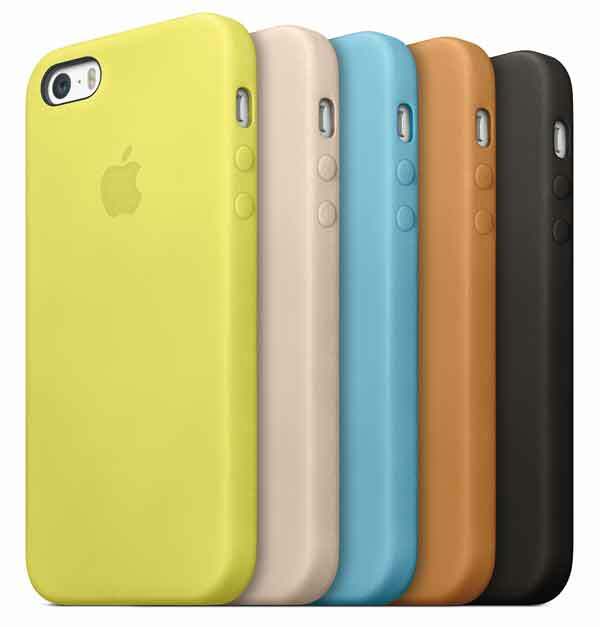 Apple has also designed it’s own leather cases for the iPhone 5S, available in yellow, beige, blue, brown, and black – all pictured below – as well as the Project RED colour. The price for the Apple iPhone 5S case is $48. 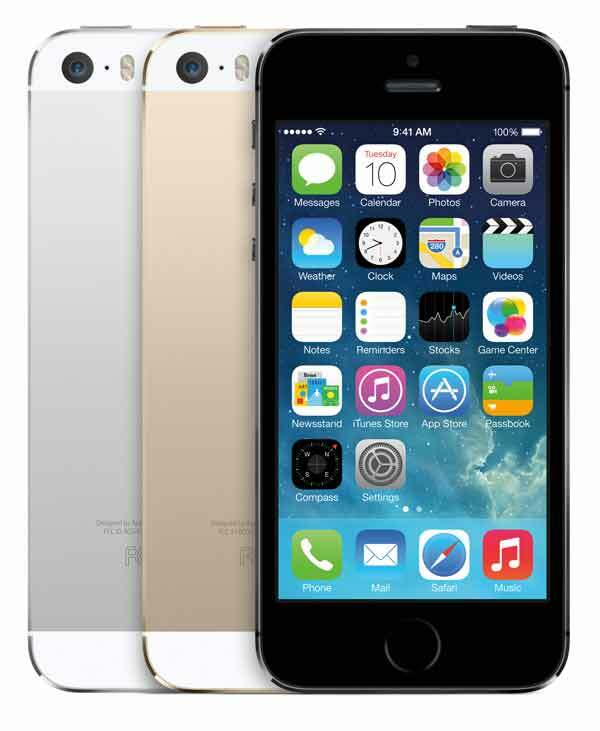 The dimensions of the iPhone 5S are 123.8 x 58.6 x 7.6 mm (H x W x D), and the weight is 112 grams. The iPhone 5C is a new, well, not budget, but rather a mid-priced, lower-specced iPhone option. Rather than a metal case, the iPhone 5C case is polycarbonate. The phone will come in 5 colours – white, red, yellow, blue, and green. The processor is the ‘old’ A6, but it does share the 4-inch retina display, 1136-by-640-pixel resolution of the iPhone 5S. The camera is the 8MP iSight camera, and FaceTime HD camera. As with the iPhone 5S, Apple has designed cases for the iPhone 5C. They are made from silicon, and available in white, red, yellow, blue, green and black. Note the distinctive holes in the back of the case, allowing you to contrast the colour of the phome with that of the case. 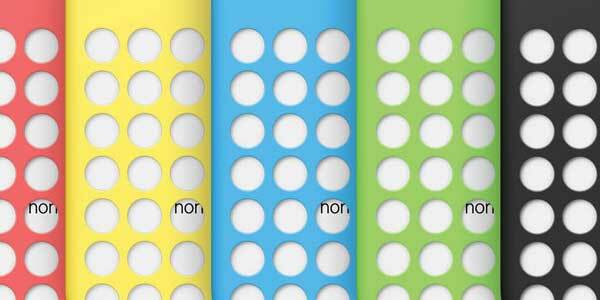 The iPhone 5C case will sell for $39. 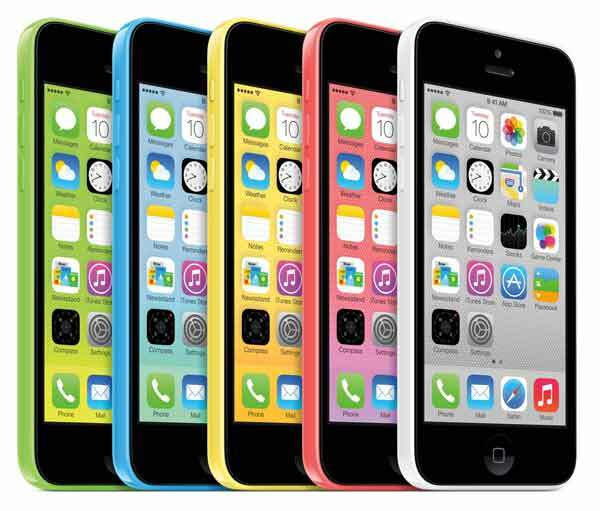 The dimensions of the iPhone 5C are 124.4 x 59.2 x 8.97 mm (H x W x D), and the weight is 132 grams. Last, and possibly least given the accompanying announcement of the new iPhones, the new operating system, iOS7, will be available as a free download from September 18.
iOS7 will run on iPhone 4 and up, iPad 2 and up, the iPad mini, and iPod Touch (5th Generation) and up. Additionally, there are new iPhoto, iMovie, iWork (Keynote, Pages, and Numbers) apps, all free.